Create Your Own Love Story !! In the words of Bayard Taylor, “Did you ever build a castle in the Air? 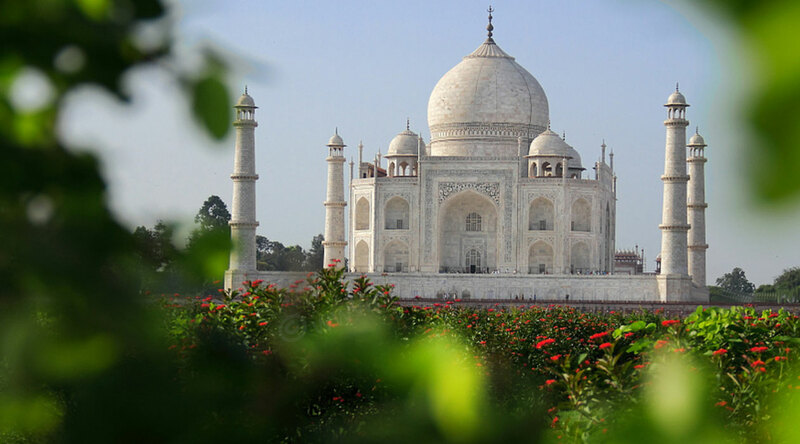 Here is one, brought down to earth and fixed for the wonder of Ages.” Taj Mahal, the tour package of monuments that is just not a building that stands tall, it’s a castle that was built in the memory of love. The magnificent construction done by the Mughal Emperor Shah Jahan for her beloved wife Mumtaz Mahal, Taj Mahal is regarded as the ‘Symbol of Love’. 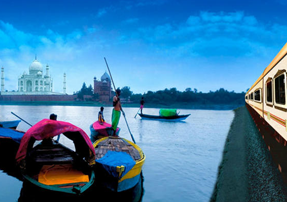 The castle that resides at the banks of the river Yamuna is one of the Seven Wonders of the World. An immense mausoleum built with white marble is considered to be the Jewel of the Mughal Empire and is the finest example of the Mughal Architectural style. Being the fascination of the people and travelers across the world, Taj Mahal draws uncountable number of visitors every day. The massive number of travelers comes down to Agra visit the only magnificent castle that they had heard about from the mouths of all. The stunning architecture and the design of this alluring marvel reflects the artistic creativity of the 22,000 laborers who were involved in building another wonder of the world. The location, the weather and everything else adds on to the glory and charm of this magnificent framework. Giving a description of Taj Mahal, every major poet and traveler have a lot to say, yet the famous poet Rabindranath Tagore described it as a ‘teardrop on the cheek of eternity’ whereas Rudyard Kipling says that it is ‘the embodiment if all things pure’. While the creator of this alluring structure said that this architectural piece ‘made the sun and the moon shed tears from their eyes’. The once-in-a-lifetime glimpse of this most beautiful building of the world is the biggest fascination of the people worldwide. Holding a grand historic significance, the building of Taj Mahal is an interesting story in itself. 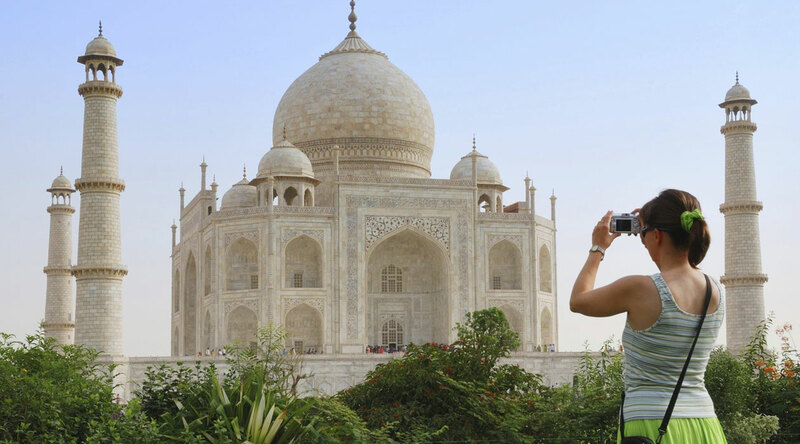 As it is said, “If you haven’t take Taj Mahal tour package even once in your lifetime, you haven’t seen anything in your life”. Because it’s just not Taj, it’s the Taj. The land where love floats in the air reflects the rich history, culture and the heritage of the past that still prevails. 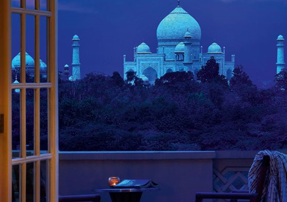 Famous for its Taj Mahal, Agra is the city that must be visited at least once in a lifetime. No worries if you are in India for a conference or for a friend’s wedding. Agra can be visited in a day as well. 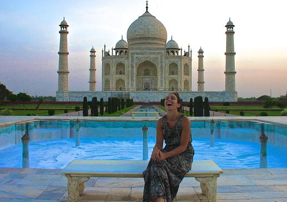 Go ahead, plan your Delhi to Agra tour package and make some unforgettable lifetime memories. 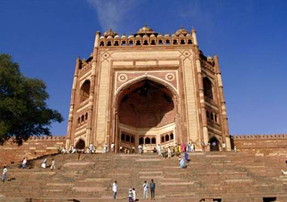 Discover the best of Agra & also visit Fatehpur Sikri with your Agra tour package. 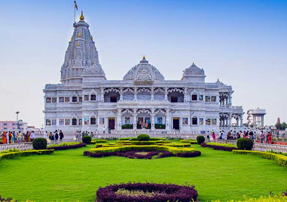 Explore the Holy Town & Birth City of Lord Krishna, Mathura with Agra on Taj Mahal Trip with Mathura. 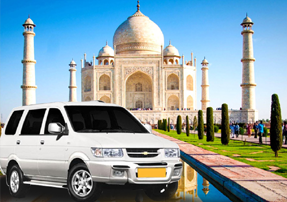 Experience the heart captivating & mesmerizing Sunset view of Taj Mahal with this tour package. 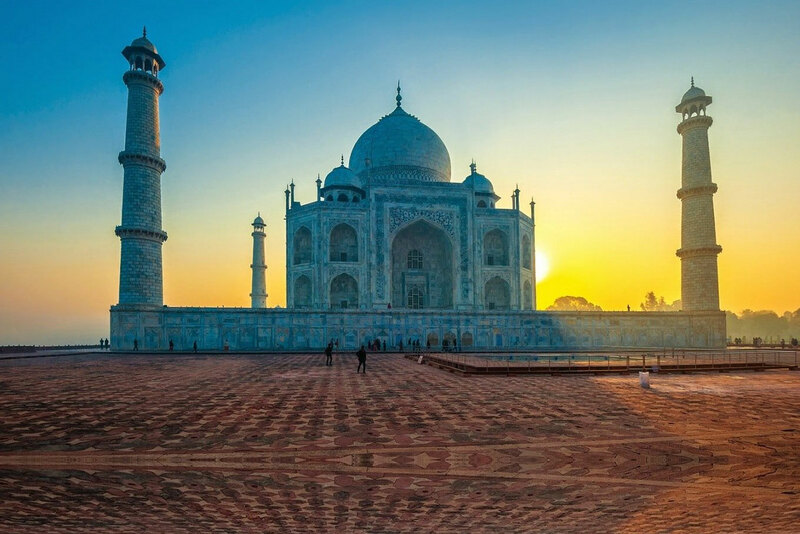 Witness the spellbinding view of Taj Mahal at the Sunrise with the first ray of sun. Taj Mahal, Agra Fort, Fatehpur Sikri, Baby Taj & more one must see in his or her Delhi Agra tour package for 2 days. 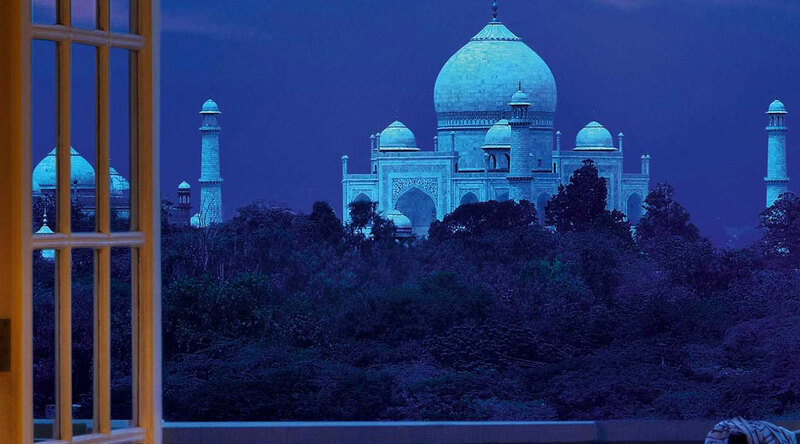 Taj Mahal, the glory and pride of the nation is one of the Seven Wonders of the World. The Magnificent historic monument is just not the architectural marvel; it is the Symbol of Love to the world. 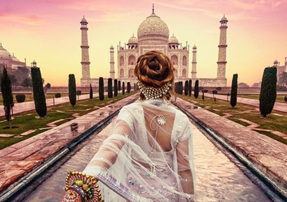 Built by the Mughal Emperor Shah Jahan in the memory of his beloved wife Mumtaz Mahal, Taj Mahal is the only monument of the world which can make you fall in love more with yourself. Still muddled how to go ahead for it? Don’t worry; we have plenty of packages for you that include the Delhi to Agra tour packages, Dusk and Dawn Agra Tour and plenty of others. The Taj Mahal showcases some of the most beautiful and intricate calligraphy that exists in the History of the monuments of the world. The architecture of Taj Mahal shows that the calligraphy had been given special importance by the designer. There are various speculations as to who was the designer and architect of Taj Mahal but the calligrapher had inscribed his name in the monument at the end of the Quranic verses. The base of the inner dome of the Taj Mahal bears the name of the calligrapher as “written by the insignificant being, Amanat khan Shirazi”. The calligrapher was given this privilege because at that time people who used to write holy verses were revered very much. The style of calligraphy used in Taj Mahal is Tuluth which was a script invented in Persia. Tuluth as a writing style was derived from kufic, whose angular style of writing was replaced by curved and oblique lines in Tuluth. The texts which are inscribed in the monument of the Taj Mahal are lines and verses taken from the Quran. The Surahs which have been quoted are Ya Sin – Surah 36, the Crowds – Surah 39, Victory – Surah 48, Dominion – Surah 67, Those Sent-forth – Surah 77, The Folding Up – Surah 81, the Cleaving Asunder – Surah 82, The Rending Asunder – Surah 84 and The Sun – Surah 91 etc. The calligraphy is done in stone which makes it even more difficult and a time taking endeavor. Records say that Amanat Khan was also involved in the selection of the verses to be inscribed on the Taj. The Surahs that are inscribed on the monument have an underlying theme which is commonly present in all the Surahs. The locations of the Surahs follow the pattern of Shahjahani architecture. The inscription on the main gateway (Darwaza-e-Rauza) invites the reader to enter paradise. The verses that are inlaid on Taj Mahal, inside the main complex are long passages which describe Paradise, while the outer parts describe the impending doom and penalties to the sinner of this world. On the actual tomb of Mumtaz Mahal in the heart of the burial chamber, the ninety nine names of Allah had been found inscribed on the sides. The crypt of Mumtaz Mahal’s tomb reads “O Noble, O Magnificent, O Unique, O Eternal, O Glorious…” and the tomb of Shah Jahan is adorned with the following line “He travelled from this world to the banquet hall of eternity on the night of twenty sixth month of Rajjab, in the year 1076 Hijri”. The inscriptions on the grave of Mumtaz Mahal call upon god to keep His devout Mumtaz Mahal under His mercy. 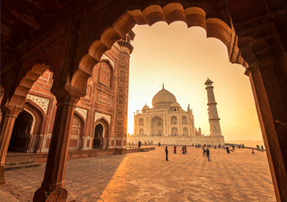 With the combination of the Three Iconic Cities of India, Delhi, Agra and Jaipur, the Golden Triangle Tour Circuit of India is perfectly built. The three cities showcases the different eras that once lived yet hold a great historical and cultural significance. 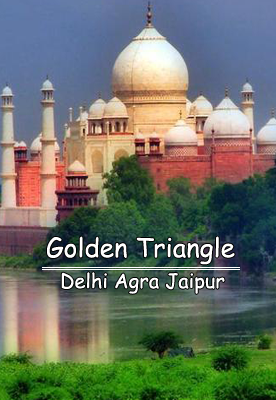 While you are just exploring Agra in a day, we recommend you to go for the Golden Triangle Tour of India if you can extend your days of trip. Experience not only the different eras, but also the culture of these magnificent cities and make memories that would last for the rest of your lives. The most colorful land of India, Rajasthan is known for its rich culture and heritage. 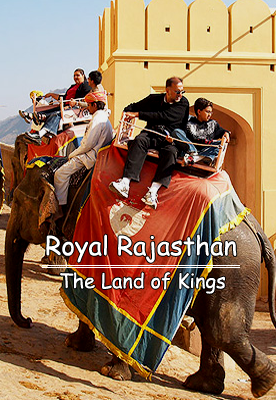 With the addition of the glorifying past, Rajasthan is the prominent tourist destination of the country. Known for being the ‘Land of Kings, Rajasthan is also the home to the Great Indian Thar Desert, and so Rajasthan is beloved destination of the nation that fascinates uncountable number of travelers every year. While you are just on your Agra trip, let’s add on to the flamboyant cities of Rajasthan if you have time tenure of few more days. Watching it once is much better than just hearing about it for the thousand times. Go ahead, plan your trip to Agra. Happy Customers Our Pride ! Meet All the Happy Customers of who visited the Land of Love and Discover their own Love Story with Taj Mahal, the Symbol of Love. 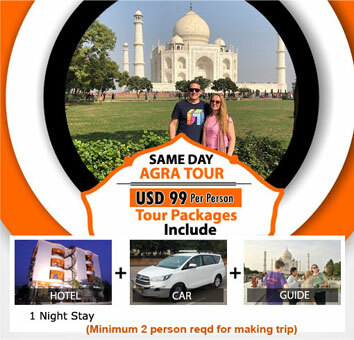 Have a look to our crucial guests sharing the experience of their Trip to the Land of Love with Agra Tour by Travelsite India. "our amazing visit to India travelling with Travelsite India"
"We went on a tour with Travelsite India visiting many places including Delhi Agra and Jaipur. We had our own car with driver who was a perfect gentleman and was looked after by him and also provided with a tour guide at each place visited.the hotels provided were also very good and very clean and smart. We would reccomend this travel firm to anyone . They gave us a tour which we will never forget. It also was very affordable and great value for your money". "memorable trip to Golden triangle with Shimla, Manali, Chandigarh"
"After a research on internet, I found Travelsite India. Mr. Vikas got in touch with us. He suggested me the Golden Triangle (Delhi Agra Jaipur) tour. In addition to that, we visited Shimla, Manali and Chandigarh too. We had a great time trip to India, just because of the arrangement they had made. Nice Food, Great Hotel Services, Amazing Guides & Drivers (with detailed information). So, yes I’ll be visiting India again.."
"Thanks for organising memorable trip to India. Value for money "
Having never been to India before, Vikas and Travelsite India Management really help us to planning and executing our India trip. You guys are really amazing and we have never got such experience as have travel every year and we have travelled to most of countries but India trip was excellent. And also good drive was the person who made us feel more comfortable in my complete Journey.